First press Browser to select the ex4 file for protect, then press "Protect", it will protect the *.ex4 to *.Jmi8.ex4. For example, the figure below is to protect the file Moving Average.ex4, it will protected to Moving Average.Jmi8.ex4, and save to the folder "Protected_Ok_Ex4". Maybe it is just show as Moving Average.Jmi8, please don't rename the .Jmi8. You can continue select new ex4 files to protect. Make templates file TPL Attention: the protected *.Jmi8.ex4，can't attach to a chart directly. It just can run by load the template. So you must make template file first. You can use the unprotect *.ex4 files to make TPL, first to rename *.ex4 to *.Jmi8.ex4, For example rename Moving Average.ex4 to Moving Average.Jmi8.ex4. On some pc, it maybe not show the extension name .ex4, You can just rename Moving Average to Moving Average.Jmi8. 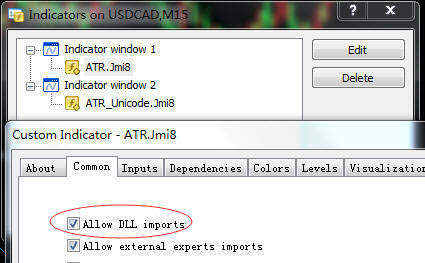 Copy these .Jmi8 to your MT4 platform to make template file *.TPL. Make Setup.exe Copy all the protected *.Jmi8.ex4 files from the folder "Protected_Ok_Ex4", and the TPL ，files made by step 2, and other protected ex4 files which protected from mq4 files, to the directory Setup_ex4. So you can read the help file "The method to install ex4 to mt4.mht".